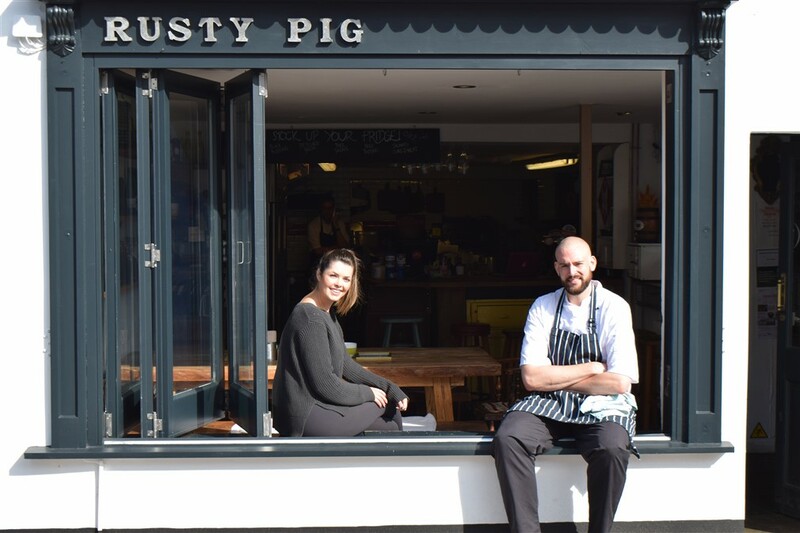 Fans of Ottery St Mary’s Rusty Pig can expect an even more exceptional service with the addition of a second chef and new events manager. Experienced chef Rob Tanner joins head chef Mark Russell at the ethically-minded restaurant in Ottery St Mary. Rob attended catering college in Bath and was fortunate to gain work experience at renowned establishments including Claridges, Belmond Le Manoir aux Quat'Saisons and Le Gavroche. He went on to work as a chef for restaurants in Bristol and Frome. His new role came after a chance visit to the restaurant in Yonder Street where, after dining he was so impressed that he asked whether they were looking for a chef. Rob was given a trial and then offered a full-time position. The second new face is Beatrice Hunt, who has taken over the role of events manager. After gaining her degree, Beatrice began working as long-haul cabin crew for British Airways but after three years decided she didn’t enjoy spending so much time away from family and friends and when the opening at Rusty Pig came up, she immediately put herself forward. Beatrice works closely with clients who book Rusty Pig catering for weddings, parties and private dining, special events and festivals.